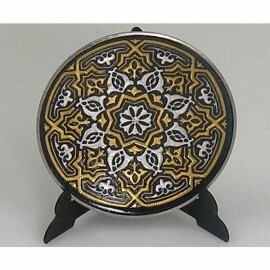 Gold Plates-collectible plates with unique damascene design. Kitchen decor. 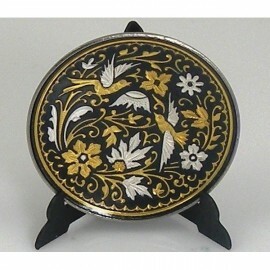 24K gold damascene plates from Toledo Spain. Golden plates decorated by geometric, floral and religious motives. 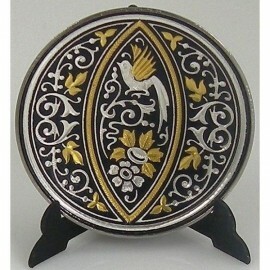 Luxury home decor and collectible gifts for sale. Gold Plates There are 76 products. 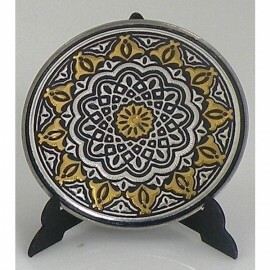 Damascene Gold and Silver Geometric Round Decorative Plate. 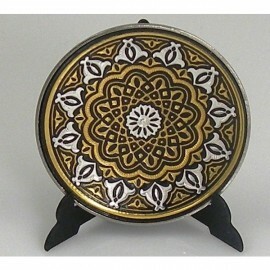 Collectible Plates by Midas of Toledo Spain. 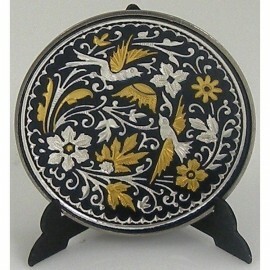 Golden and Silver Plate. Kitchen Decor. 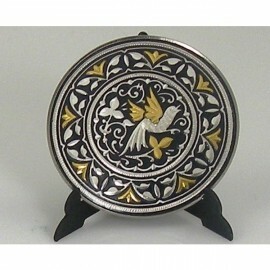 Damascene Gold and Silver Bird Round Decorative Plate. 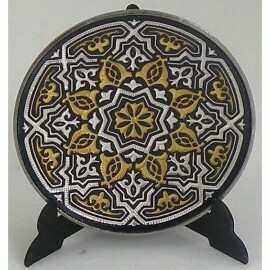 Collectible Plates by Midas of Toledo Spain. 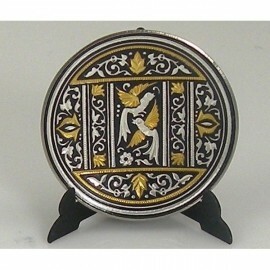 Golden and Silver Plate. Kitchen Decor. 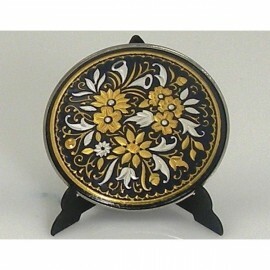 Damascene Gold and Silver Flower Round Decorative Plate. 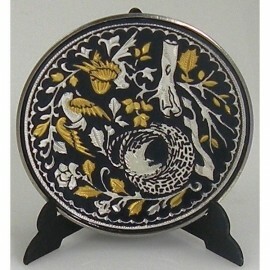 Collectible Plates by Midas of Toledo Spain. 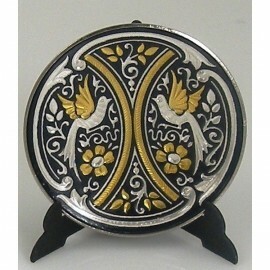 Golden and Silver Plate. Kitchen Decor.